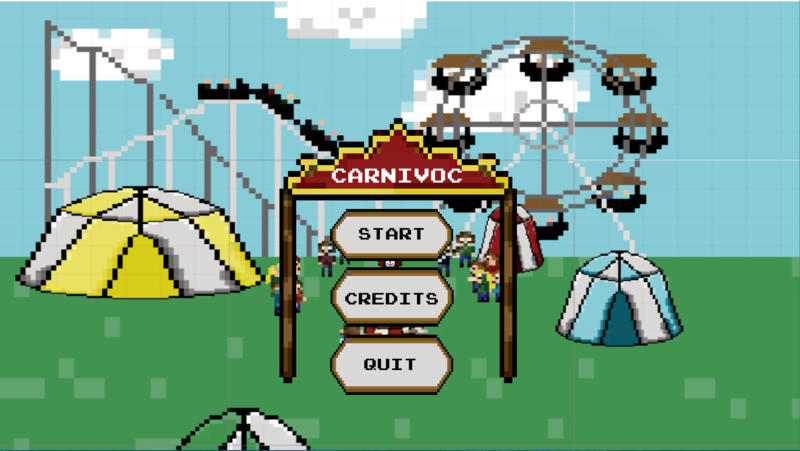 Carnivoc (Carnival Havoc) is about a clown who has to manage 2 things simultaneously! 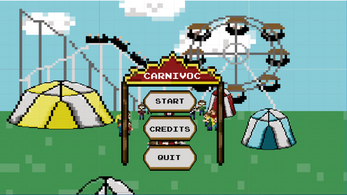 Using the arrow keys, the clown has to balance on a ball and not fall down! The clown juggles by pressing one of the ASDFG keys at the right time! This is our submition to the BeansJam Mobile, it still has some bugs. Sometimes pressing the right key isn't registered. The balancing bar is also very sensitive, so make sure not to press the arrow keys too long!